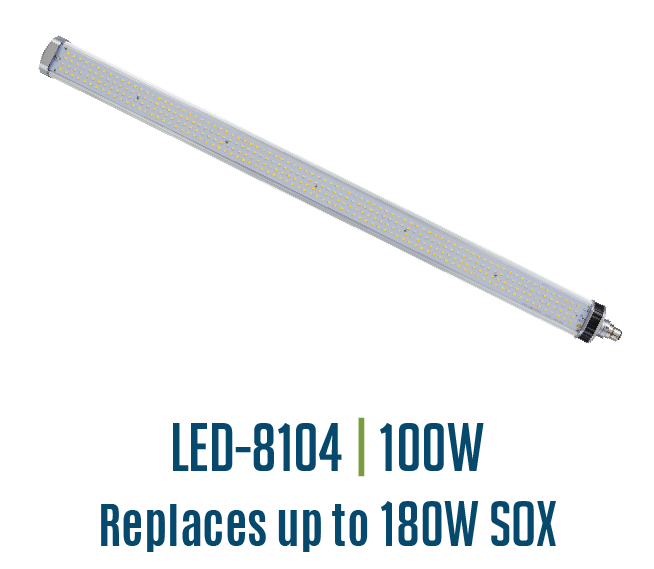 Light Efficient Design's SOX lamp retrofits replace SOX lamps up to 180 watts. 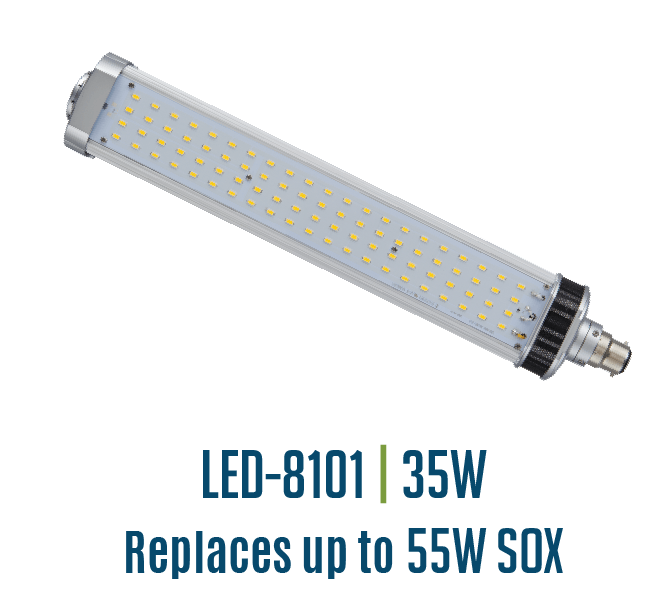 Reliable and efficient LED retrofits are a cost effective solution for SOX lamps replacement. 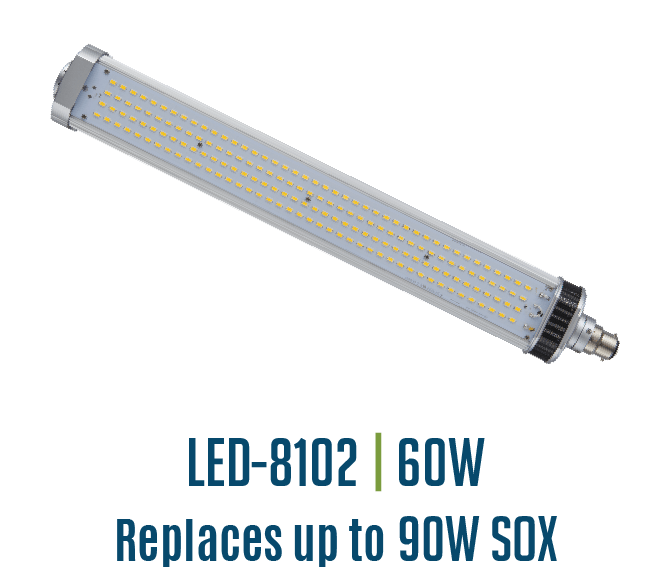 Innovative aluminum heat sink with integrated cooling fans provides excellent thermal management resulting in high light output and long life. 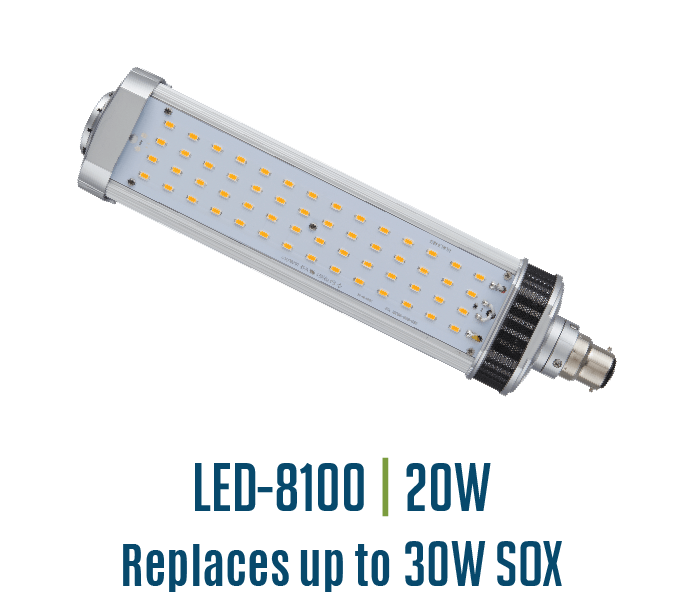 Operates on 120-277VAC 50/60Hz. Internal Driver for easy installation. UL listed for damp environments and enclosed fixtures. Advanced active cooling: Active cooling and dynamic temperature control.